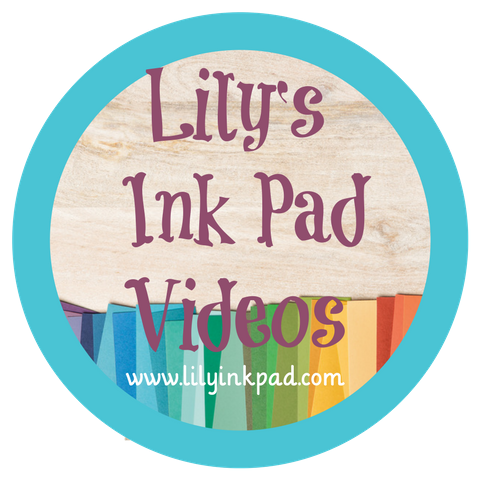 I know that some of you are just finding my blog after my enewsletter announcement yesterday. Welcome! I hope you find you get more in depth information and ideas than I could provide with just a newsletter. Be ready for June 15 and the retirement list. I hope to post it before I leave for New Mexico for 6 days. I will have internet access and will do my best to post the list as I travel. Wireless Internet here I come! 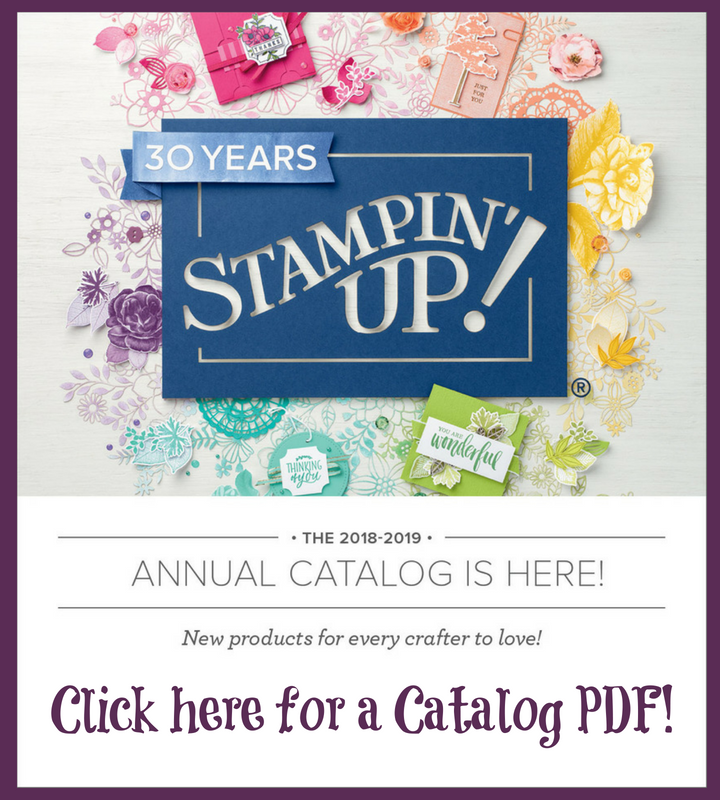 Although, I will be gone, you can still contact me via my new cell phone as printed in my newsletter or email to place an order or sign up for a class. Back to the reason for the post--- Party Pails! I've had this idea running around in my head for a while, since I bought a bunch of these pails at a closeout store. 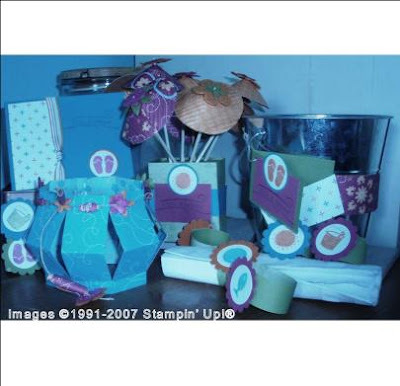 I knew I wanted to create a kit for a party...to show how easy and fun it is to create decorations using Stampin' Up! products. Then, the Spring-Summer Collection had this FABULOUS paper called Bali Breeze. I knew that was my focus. My goal was to create an easy way for you to set up for a small, summer party. After sifting through ideas after ideas after ideas and thinking about cost and time involved, I created this kit. (DRUMROLL). The colors are way cooler in person. My camera and I have worked all week to get one good picture and this is the best I could do. If you have any photography tips, leave a comment. They just all turned out blue! I did enhance it as much as possible! This kit contains: a decorated bucket with tag, 8 invitations (only one showing), 8 drink umbrellas with different floral patterns so that they can be used as drink charms, 8 napkin rings, a cute centerpiece holder, which house the umbrellas, and a luminarie. I had so much fun! This uses less than 1/2 a package of Bali Breeze paper, so you can create more luminaries, thank-you notes, treats and more! I also used the Flower Fusion felt flowers to tie it all together! I love how easy they coordinate with the Bali Breeze Paper. As I worked on which projects to include from all that ran around in my head, I felt like I was going back to my summer camp days...paper luminaries, paper umbrellas. It was fun. If you want to learn how to create these items, sign up for one of my Party Pail classes on June 24. 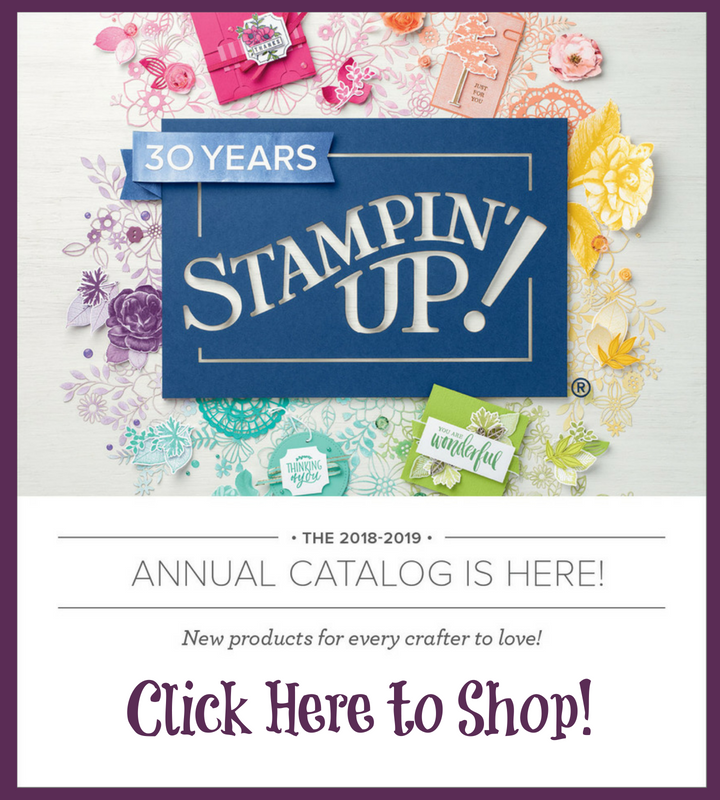 I have reserved two time slots for about 4 stampers each. Please indicate whether you will attend the 10-12 time slot or the 1-3 time slot. The cost is $15. Please register by email or phone by June 22, so I can cut your supplies. One final note, for those of you from Splitcoaststampers who are in the "Over the Top" Stamp Camp Swap by shannacourt in my group, this is the project. I hope I'm not spoiling the beans too early!